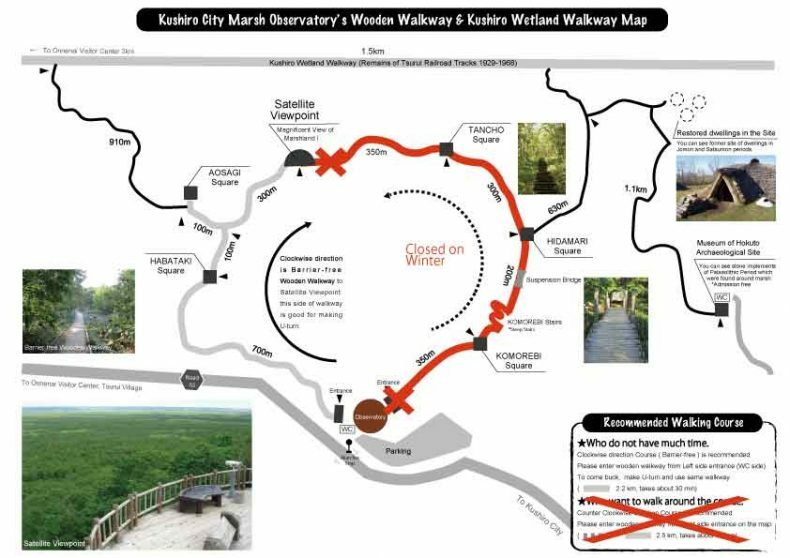 At Kushiro marsh Observatory, we will be closing part of walk way durling winter. You can still enjoy barrier-free side of walkway. Please enjoy the view of beautiful winter marshland. Also, outside restroom will be closed from Dec. 1st durling winter.